The museum maintains a large collection of medieval manuscripts and early printed books brought together by the baron W.H.J. van Westreenen van Tiellandt (1783-1848). Van Westreenen was a typical 19th century collector: he not only collected books, but also antiquities, family portraits and souvenirs of his travels. This collection is preserved and presented in the 19th century museum display on the first floor of the museum. 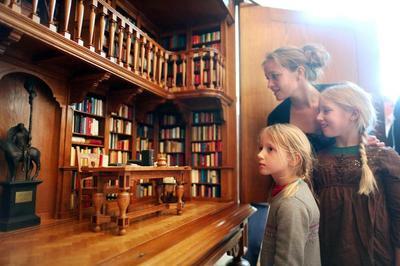 As an extension of Van Westreenen’s collection, the museum collects books dating from 1850 to the present. The form and design of the book are the criteria for selection. 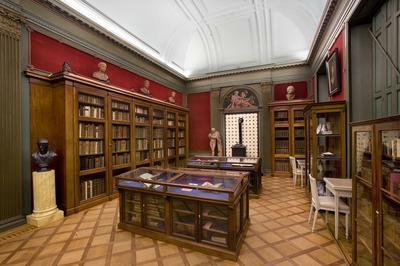 This collection is displayed in ’From lead to LED’, a permanent display with a changing selection of modern books on the first floor of the museum. In addition to books and antiquities, the museum also contains coins and medals, letters, archives, ex libris and other small printed items. For more information about the background and origin of the collection, see. Introduction to the highlights. You can search the collections via the Online catalogue.